I was influenced to join the Army through a couple of factors in my life growing up. The first factor was that my father had been in the Army. He was drafted in 1961 and sent to Hanau, Germany during the Berlin Crisis. Later, I would learn that my dad’s older brother had been in the US Air Force and spent time in Libya in the 1950’s. My mother’s uncles had all served in World War II in the US Army or US Marine Corps. Thus it was a family tradition to serve our country and so I wanted to do my part. A second factor, was that I had always been awed by aircraft. As a child, I was like the Christian Bale character in the movie, Empire of the Sun. 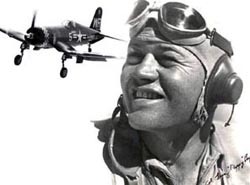 I had visions of becoming a great fighter pilot like Pappy Boyington. As life sometimes goes, things did not work out for me to realize my dream of being a fighter pilot. In my senior year of high school, I joined the US Army on the delayed entry program and left for basic training later that summer. The path that my military career took was rather unconventional. I enlisted in 1986 for two years and left to attend Bible College in Jacksonville, Florida. Even though I had dreamed of being a fighter pilot and being in the military, my relationship with God became a bigger influence in my life and felt the conviction to go into the ministry. I then joined the U.S. Army Reserve at the end of my two year enlistment under the 2 + 4 program. Thus, I was discharged from Ft. Lewis, Washington and headed to Florida. After my first semester in college, I was granted a release from the USAR to rejoin the Army. In Florida, I was a twenty year old California kid in an unfamiliar environment, with little support from my family. It was time to regroup. So in January of 1999, I boarded a plane for Ft. Riley, Kansas to start another 4-year active duty enlistment. This next enlistment saw me being sent to McCall, Idaho in 1988 to participate in fighting multiple forest fires in the Greater Yellowstone Ecosystem in Wyoming and other areas of Montana and Idaho. I was then transferred to Germany for two years and deployed to Operation Desert Shield/Storm with 3rd Brigade, 3rd Infantry Division. Upon our return to Germany from Saudi Arabia, my unit was deactivated and I was transferred to Fort Ord, California. There my four year enlistment ended and I was discharged. I returned to Florida to finish my Bachelor’s Degree at Bible College in 1993. In 1999, I returned to active duty in pursuit of becoming a Chaplain. 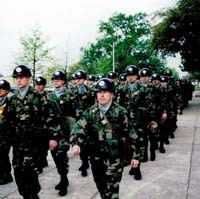 I was sent to Fort Benning to Officer Candidate School. I was commissioned as a Lieutenant in the Infantry. Later, I branched transferred to Military Intelligence and that is where I finished my career in 2014. My time as a commissioned officer was spent largely engaged in the Global War on Terrorism. I did three deployments to Iraq (OIF II, OIF 06-08, and OIF 09-10). My final duty station was Fort Bliss, Texas. In February 2014, I retired from the US Army with 20 years of cumulative active federal service. I participated in several deployments over my career. My first deployment was to be sent to McCall, Idaho in 1989 to support the fire fighting effort in the forests of the Grand Tetons. My next deployment was to Operation Desert Shield/Storm with 1st Battalion, 7th Infantry Regiment of the 3rd Brigade, 3rd Infantry Division. My next three deployment were in support of the Global War on Terrorism. I was sent to Iraq for OIF II, OIF 06-08, and OIF 09-10. The most significant of my deployments was Operation Desert Shield/Storm. The most fulfilling for me was deploying to fight forest fires in the Greater Yellowstone Ecosystem. Starting as many smaller individual fires, the flames quickly spread out of control with increasing winds and drought and combined into one large conflagration, which burned for several months. Thousands of firefighters fought the fires, assisted by dozens of helicopters and fixed-wing aircraft which were used for water and fire retardant drops. 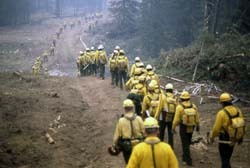 At the peak of the effort, over 9,000 firefighters were assigned to the park. With fires raging throughout the Greater Yellowstone Ecosystem, the staffing levels of the National Park Service and other land management agencies were inadequate for the situation; over 4,000 U.S. military personnel were brought in to assist in fire suppression efforts. Four Army battalions (two from Fort Lewis, one from Fort Carson, and one from Fort Riley) assisted on fires in Idaho and Oregon. MAFFS and 19 helicopters from Fort Campbell were also deployed to Idaho and Oregon. Only the arrival of cool and moist weather in the late autumn brought the fires to an end. A total of 793,880 acres or 36 percent of the park was affected by the wildfires. 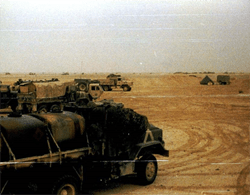 Operation Desert Storm (ODS) was the most life changing in that it taught me the value of our US Army field training. Until that time, my attitude towards training was that it was a big inconvenience on me enjoying my weekends and time off. After ODS, my outlook on training in combat skills and field craft were more sober and diligent. This carried over into my approach to training as an Officer. Another significant impact that ODS had on me was just how easy one’s life could be lost. The reality of death at any moment has a way of waking up your senses and causing to you see the rest of your life in a different way. It caused me to get out of my day dream state and begin to understand that life has an eventual end to it. So the big question for me since then has been, “what have I done with my life?” In other words, asking myself daily if my actions, attitudes, or decisions had a positive impact on others. 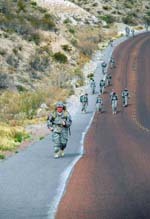 The duty assignment that I enjoyed the most was being at Ft. Bliss, Texas in 2005. First, I am grateful to my Brigade Commander at the time, COL Stephen Twitty, for giving me a renewed vision and passion for being an Officer in the US Army. It was at Ft. Bliss that I met my wife and got married. 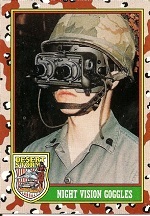 Later, we returned to Ft. Bliss to finish my career. I returned to Ft. Bliss in 2010. I was assigned to the Brigade Modernization Command and given the unique task of developing a training scenario that could also be used by the Army Test and Evaluation Command. This assignment gave me the opportunity to fully use my creative abilities in order provide something that would help soldiers of the future survive the battlefield. My least favorite assignment was being at Fort Ord. 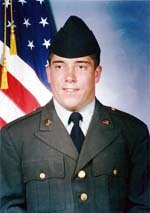 I was not there very long before leaving the Army in 1993. I found that it was very interesting environment. As a single soldier in the barracks, I was seeing the effects of the new barracks initiatives and the loosening standards and was not very happy. Thankfully, I did not have to move with 7th Infantry Division when they went to Fort Lewis. The personal memories that have impacted me the most from my experience were from Operation Desert Shield. The first memory that I have from ODS was the night we were first told that SCUD missiles were heading our way in the early evening while we were in the port in Saudi Arabia. Our Platoon Sergeant’s driver burst into our tent and yelled, “Mask, mask, mask, SCUDS in the air, SCUDS in the air! !” I never saw an entire group of people move so quickly from a dead sleep to don their chemical suits and masks as that night. WHAT ACHIEVEMENT(S) ARE YOU MOST PROUD OF FROM YOUR MILITARY CAREER?IF YOU RECEIVED ANY MEDALS FOR VALOR OR OTHER SIGNIFICANT AWARDS, PLEASE DESCRIBE HOW THESE WERE EARNED. 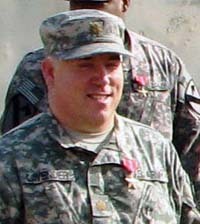 I received the Bronze Star for Service in my last deployment to Iraq. I had earned it for a couple of reasons. The first was for the work that I had done as a targeting officer in the division headquarters. The second was for taking over the operations shop (S3) of our Division Headquarters Battalion. I can not go into more details as most of the details would violate OPSEC at this point. The Humanitarian Service Medal is the most meaningful to me. It was given for participating in fighting the Yellowstone fires of 1989. Starting as many smaller individual fires, the flames quickly spread out of control with increasing winds and drought and combined into one large conflagration, which burned for several months. 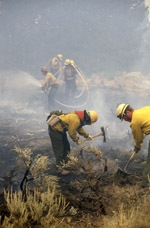 The McCall fires in the Greater Yellowstone Area were a once-in-a-fire-career-experience for everyone involved. Thirteen major fires burned a total of 1,500,000 perimeter acres and were fought by approximately 9,600 persons at peak mobilization . Thousands of firefighters fought the fires, assisted by dozens of helicopters and fixed-wing aircraft which were used for water and fire retardant drops. We received the award for helping others in a time of need. It also reminds me of my late mother. She had always wanted my brother and me to visit Idaho because she had lived there for several years before meeting my father. She was over joyed to learn that I was being sent to Idaho. She wanted me to take lots of pictures. My mother passed away 4 years later in 1993. The person who had the most positive impact on my military career was Colonel Stephen Twitty. I volunteered to be sent to Ft. Bliss, Texas to help stand up the 4th Brigade, 1st Cavalry Division in 2005. COL. Twitty pulled me out of the S2 shop to help draft the Brigade’s first Standard Operating Procedure upon the recommendation of the Brigade Executive Officer. I would later learn that this was done because of the way that I briefed and my work ethic. Later, he picked me to be his Liaison Officer at the Division Headquarters because he was unhappy with the support he was getting from the Captain that he had sent to do that job at Fort Hood. Later, COL Twitty sent me down to the field artillery battalion to be their S2 with instructions not give them “artillerized intel”. He wanted them to function as a maneuver unit and get out of the habits they were accustomed to. It was COL Twitty’s confidence and trust in me that gave me a renewed vision for being an Officer in the US Army and to continue to stay in and finish my career. 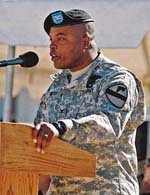 COL. Twitty is now Major General Stephen Twitty and is the current Commanding General of 1st Armored Division, Ft. Bliss, Texas. I have retired from active duty. I am currently pursuing finishing my Master of Divinity (M.Div) at Liberty Baptist Theological Seminary in Lynchburg, Virginia. 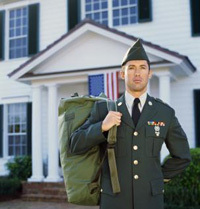 I will be pursuing ministry full time and work with veterans groups once we are settled after Seminary. 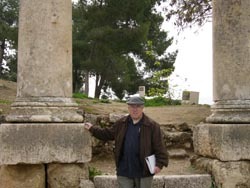 Photo was taken during a trip to Jordan. I have life memberships in the Veterans of Foreign Wars (VFW), 7th Infantry Regiment (Cottonbalers), 1st Cavalry Division Association, and the Disabled American Veterans. The benefits that I receive are fellowship and advocacy. The VFW, AUSA, and DAV all provide advocacy and lobbying for veterans concerns and benefits at the Federal level. It was largely the collective voice of these groups that successfully kept our current compensation and retirement benefits largely intact after there was considerable discussion on Capitol Hill on severely reducing or even eliminating them. Serving in the military has influenced my approach to life and post military career largely by helping me to understand the bigger picture of any situation. Not everything is as it seems and usually there is more to the story than any of us realize. The military is taught me to bloom where I am planted and to do all that I can to make things better, influence and encourage others to do their best. Do not let others determine your career. Take charge of your career. In the absence of guidance, you can write your on epitaph by seeking to understand what needs to be done on a daily basis and getting it done. Become an expert in your job skill. Become the one who knows more about your particular MOS than anyone else. Keep yourself in the best possible physical shape. The Army is a performance based organization. Stay physically fit and you will stay in the Army. This is a great venue for connecting with those with whom you have served. It is great to be prompted to write your memories and recollections. They help set the next generation of soldiers, sailors, marines, and airmen up for success in their careers.